763772240 -Clinical Instruction and Evaluation: A Teaching Resource, Third Edition is designed to guide instructors through the learning process by providing clinical nurses with the theoretical background and practical tools necessary to succeed as a clinical nursing instructor. The theory used to support the practice of clinical education is presented in a straightforward, easy-to-understand manner. 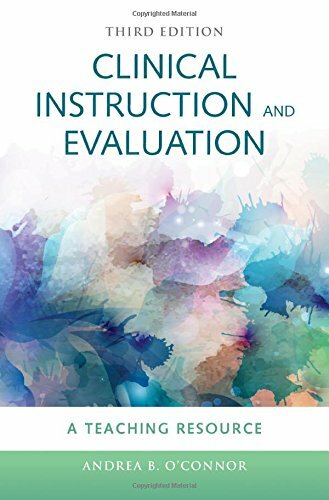 This text offers approaches to structuring clinical experiences for students, evaluating student performance, and solving problems encountered in clinical settings. The Third Edition has been completely revised and updated and now includes a larger focus on teaching people from other cultures and traditions as well as the critical issues around the nursing shortage. The nursing shortage has increased the demand for nursing educators and as a result, nursing programs are now turning to clinically expert nurses to play a role in the educational process. Clinical Instruction and Evaluation helps the clinical nurse make a smooth transition to nurse instructor.